Preheat oven to 350 degrees. Cut hot dogs in half. 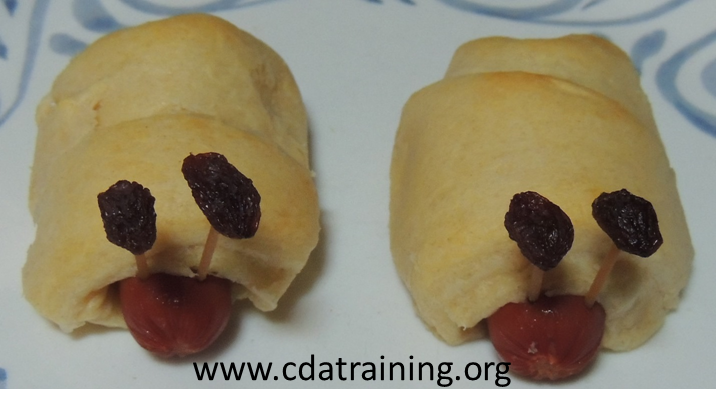 Roll each half in a raw crescent roll (the canned refrigerator kind) with the round part of the hot dog sticking out. Bake for about 12 minutes. Add pretzel sticks or uncooked spaghetti noodles with raisins on top for antennae.